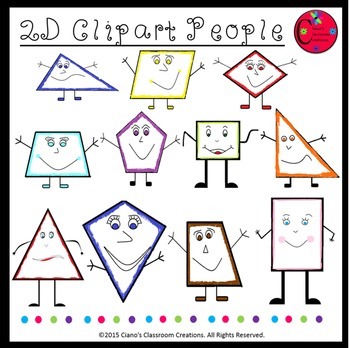 This is a set of 2D shapes clipart people that may be used for personal or commercial, digital and print, use as long as credit is given. Both jpegs and png files are included. Please view my TOU prior to using in commercial products. Click the Green Star to begin following my store! • Please go to your My Purchases page (you may need to login). Beside each purchase you'll see a Provide Feedback button. Simply click it and you will be taken to a page where you can give a quick rating and leave a short comment for the product. Each time you give feedback, TPT gives you feedback credits that you use to lower the cost of your future purchases. Follow my Facebook Page for product updates!